Jane Green is one of my all time favourite authors as her books captivate my imagination and take me into the world in which she writes. One of her books which I hold very close to my heart is Spellbound (American Version To have and To Hold.) as it kept me enchanted to read more and unable to put it down plus reading it is how I got my great obsession with the beautiful place Connecticut! Jane Green has very kindly taken the time out to answer questions and very very very very nicely sent me a *Signed edition of Promises to Keep (UK Edition: The Love Verb) as a Giveaway to one lucky person! This post will host as the main page for Jane Green Month and all posts related to this month will be linked below to help find them quicker. Contests to win some book related swag etc. So who's excited there January Blues are gone?? Who else is a big fan of Jane Green?? What a great idea! :) I like that, 'Jane Green Month'. I have been a fan of hers for 5 years and I still enjoy re-reading her novels. 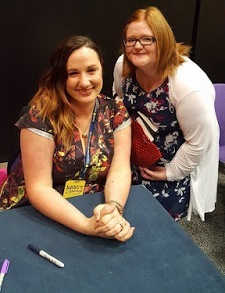 She writes stories that resonate with her readers, which I think played a huge part in why she became so successful, both in the U.K. and across the Atlantic. Her writing has improved tremendously over the years and has gained much confidence and maturity since her very first novel, Straight Talking. Her depth of characterization, her choice of syntax, and her mastering of the art of dialogue, make her books truly agreeable to read. Bookends, The Beach House, and Promises to Keep are amongst my favorites. I have read some of her books and enjoyed them! I read Bookends and the Beach House. Oh- and Straight talking. What an excellent giveaway! @Jordi I agree she's writes incredible novels, Have you read Spellbound? I'm addicted to reading that book over and over again!